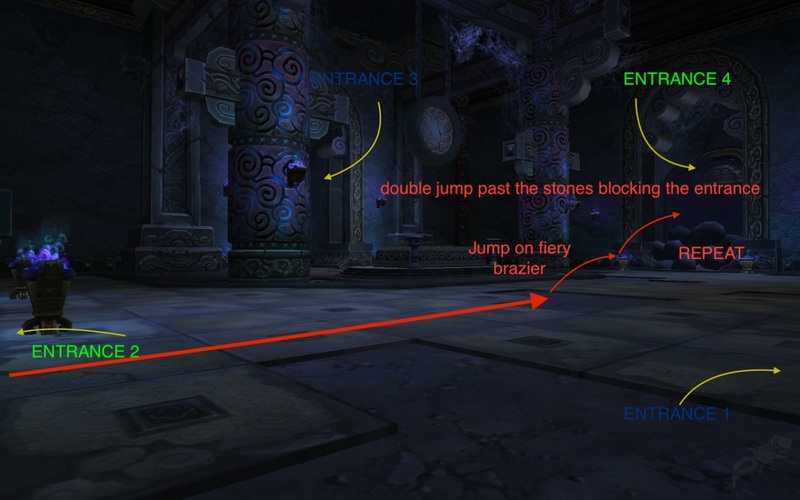 The hardest part in obtaining Lucid Nightmare mount is the maze finding and matching the colored orbs with their specific runes and it usually takes hours and good planning or insane luck. With this method and a demon hunter you can basically do it in 1-2 hours or less depending on your luck. Download the addon "Lucid Nightmare Helper" from curseforge. This will let you mark down the rooms that contain runes so you know specifically how many rooms behind a specific color is. Check the image above. 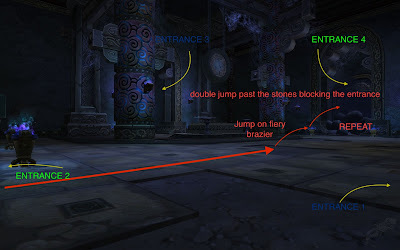 You will have to go in a STRAIGHT line all the time through the doors, bypass the block by jumping on the braizer and then over the boulders. Keep repeating this until you find a matching orb and rune color and return to the rune by going back on the same straight line. The addon above should help you mark down the colors. This is the fastest way as of right now, if doing randomly with a pen and paper will take an incredibly long time or crazy luck to finish this in less than 2 hours.